Yes I got caught by one back in 09. My own fault, I was actually trying to help my daughter take an overseas call from her Mom who was stationed in Afghanistan at the time. I seen the light turn yellow as I was entering the intersection and did not stop. I seen the camera flash and right then I just accepted I ran a red light. Got the ticket and just paid it. It was my fault for not paying attention. No sense in complaining about it. 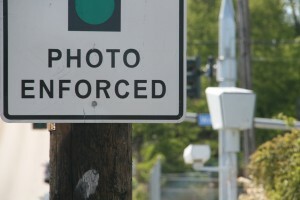 In my opinion I think there should be more cameras out there all throughout the county. Far to many times have I actually witnessed 4-5 cars just keep going through a red light while the other direction has a green. I have seen just this year alone 3 collisions at a light because someone ran a red light and not anticipating oncoming traffic to move. I still have pictures of the wreck that happened by money tree in silverdale. I look at the all the time thinking I need to be careful or that could be me. the light at marine drive got me as i was turning left to visit my son. it went from yellow to red very fast. ive seen people out there taking pics of that light. i got a ticket and am unemployed. i guess i cant renew my license. i got a ticket at the same spot. i was turning behind 2 other cars and i thought it was more important to watch the bumper of the car in front of me than the light. i worked it off at habitat. oddly, they reduced everyone’s tickets to 90$ unless you did community service, then it was only reduced down to $100. people should know, it’s not just a camera, it’s a very good video. I haven’t gotten a ticket thus far, but know several people that have. Thankfully many of the Kitsap Sun trolls that used to ramble and rant about the “spy cameras” are no longer here or this would quickly be an uncivil discussion…. My point of view is as long as you make a complete stop, you won’t get a ticket. Rolling stops are not stops, even if it’s 12 AM and no one else is around. As a joke I heard once went, a motorist was arguing with a motorcycle cop that he slowed down at the red light and that should be as good as stopping. The cop asked the man to step out of the car, whereupon he started hitting him with his nightstick. I got mine on Warren Avenue. I deserved it and I payed it. I believe they should have them at every light. The question really should be, when are your city officials going to get caught? Your city’s public servants have sold this red light program to you as being all about safety. I strongly believe that is a blatant lie and that the City of Bremerton’s relationship with Redflex Inc. is a business relationship in order to PROFIT. I know for a fact that your Chief Strachan and Mayor have blatantly ignored safety concerns that have been raised about the timing of your yellow lights. I know that your city does not even know the 85th percentile speed for Wheaton, a key component in the formula to determine the proper yellow light timing. As I have said before, it is a proven fact that red light running can be greatly reduced by adjusting the yellow light time in order to give drivers time to react. Instead your city uses an outdated formula to justify their yellow timing. The DOT refuses to examine the yellow timing and claim it’s out of their jurisdiction The DOT also refuses to examine the placement of Redflex’s signage that is required by law to warn drivers they are entering automated infraction zone. Your chief and mayor also refuse to address the issue of your Lt. All inclusive stay at the Ritz Carlton in Arizona, paid for by none other then REdflex Inc. 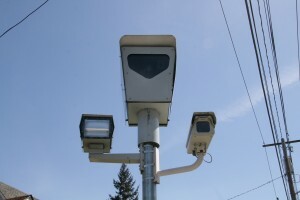 The company that owns, operates and maintains Bremertons automated ticket cameras. Bribery? He the cities spokeman for the red light program and he’s sleeping in the feather bed of the Ritz Carlton paid for by REdflex? What about your Judge Doctor hiring an unsworn, unqualified women to wear his robe and act as “judge” in these red light cases? 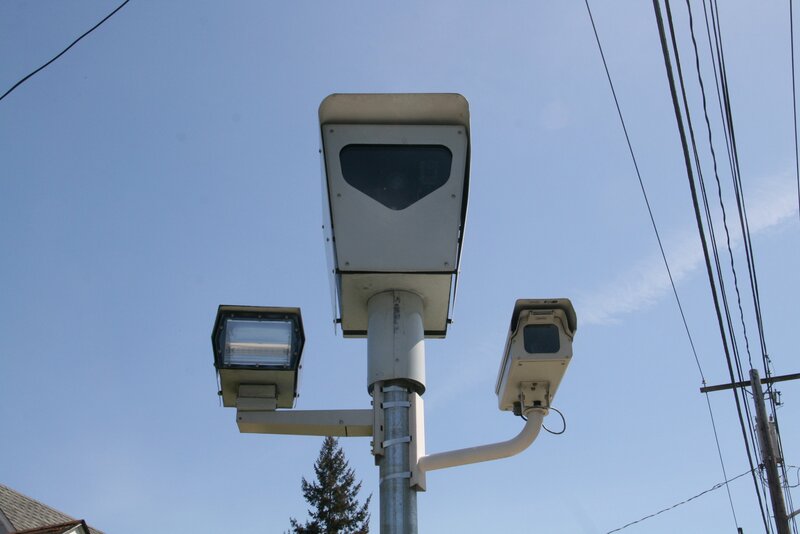 What about the fact that these Redflex cameras are recording 24/7/365 and despite laws that say they can not be used for anything besides red light tickets, your city has accessed them and pulled up old footage to solve crime? That is against the law! Yes, they are spy cameras, the are owned by a foriegn, for profit company. The law requires an officer to serve a ticket in person or thru the court but these tickets are issued from Arizona. Running a red light in Bremerton is considered a parking infraction and does not go on your record. In any other town it is considered a traffic infraction, goes on your record and you could get your license taken away. So how is this about safety? This is about profit and your city officials are addicted to the money. They are in a business relationship with a company under investigation for BRIBERY. Your city engineer Chal Martin, was sent a stack of studies that proved that properly adjusting yellow light times reduce red light running. These studies were actual proven success stories from other cities around the country that merely adjusted the light timing by 1/2 second. Chal Martin has the ability to dial up the traffic signal and make adjustments in a matter of minutes but despite having the evidence in front of him, he has done nothing. In fact, he laughed it off as “conspiracy theory.” If this REDFLEX relationship is really about safety would’nt he want to do everything possible to make these intersections as safe as possible? The majority of straigt thru violations happen in the first 1/4 second. So….adjust the light timing to reduce the amount of people entering the intersection on red. Problem solved. The same info was sent to your Police chief who also ignored this safety issue. As well as your mayor and city council. Rick McDonald, I have been thinking about your comment, that you deserved your ticket and gladly paid Redflex and believe red light cameras should be at every corner. You seem to be in the majority and that Bremertonians are for the most part accepting of Redflex’s automated infraction cams. That goes against my grain and I can not figure it out. Why do people accept that their public servants have entered into a business relationship with a foreign company that profits on you running a red light? Why do your police give up their responsibility to a robo cop in Arizona? Do you really voluntarily consent to sending money to a foreign company? A company that keeps it’s cut and then sends your city a cut of the profit. A company accused of ethic violations and bribery? Why? For protection against red light runners? I have always asked how a camera that sends it’s data to Arizona can even stop a red light runner? I have also asked what the city has done to reduce the amount of vehicles entering on red. The answer is nothing. NOTHING. Bremerton allowed this company to set up business on the intersections that would be most profitable. Now, despite having the data from this company, Bremerton has chosen to make no adjustments to signal timing. No increased warnings or visibility. Bremerton just sits there collecting PROFIT$. “under the color of law” with a Defacto judge. And if any one asks questions, they are laughed off as “conspiracy theorist” . if you want to consent to Redflex and think a camera will keep you safer than what can I do? If I try to convenience you otherwise, I am accused of being a “troll” . If I do not consent to having a foreign company issuing me a traffic violation and calling it a “parking” ticket. Or if I stand up and demand some accountability and at least an explanation then I am accused of being anti-government. If you walk into the Mayors office and tell her how safe the cameras make you feel then she will welcome you with open arms. If I walk in and ask for an explanation to my questions, I will be asked to leave. It seems that in Bremerton, it is a win win situation for a company that is otherwise being turned down and voted out of town by other cities across the country. Why bremerton accepts this red light business relationship is something I will never understand. I choose not to consent and demand accountability and require that the city does everything possible to make intersections safer without the use of for PROFIT robo cams. I also choose to boycott Bremerton and not step foot in that town until those foreign spy cams are dismantled and the public servants that allowed them are reprimanded. Worse than that. The WA DOT has done studies on roundabouts and found that they are much much safer than traffic signals. The DOT even encourages all municipalities to install roundabouts. Of course there would be no red light tickets on a roundabout. I suspect cities are not using these more often to maintain revenue from those who will undoubtedly run them. If it were truly about safety, they would install roundabouts! Early after their installation, there were several lights that had been re-timed to short unsafe yellow cycles. I suspect provided the high profit that encouraged the city into a contract after the trial. The yellow interval should be related to the road’s posted speed according to traffic safety and engineering guidelines, and these were being violated. I have witnessed the use of remotes to change the lights which “caught” drivers. I’ve witnessed nearly instantaneous cycling from red and back to red near the college, and been blinded by a misaligned camera. I’ve also witnessed safety issues on icy roads which led to people being “caught”. I will continue to boycott Bremerton and it’s businesses until they are removed. They do nothing for safety. They are a mechanism for punitively collecting money.